Tomorrow, LG will officially announce the G6, its newest flagship smartphone. Leading up to that big day, though, the Life’s Good crew has been leaking out little bits on its own, seemingly working in tandem with unofficial leaks to build a pretty distinct picture of what we should expect in a very short period of time. But there's always room for one more leak, right? The newly leaked image that you can examine below presents the LG G6 in three color variants: mystic white, astro black, and ice platinum. We kind of knew that these three G6 color versions existed (see here, here, and here), but it's certainly nice to be able to glance upon an image that shows them all in one place. Posted on Twitter by Evan Blass (@evleaks), the new image can be seen as a re-confirmation (albeit an unofficial one) of the fact that the G6 is very different from its predecessor, the LG G5. Among other novelties, the new LG flagship phone offers a large 5.7-inch FullVision display with rounded corners, a water-resistant metal body, and a dual rear camera that doesn't protrude. Also of note is that this is not a modular device. 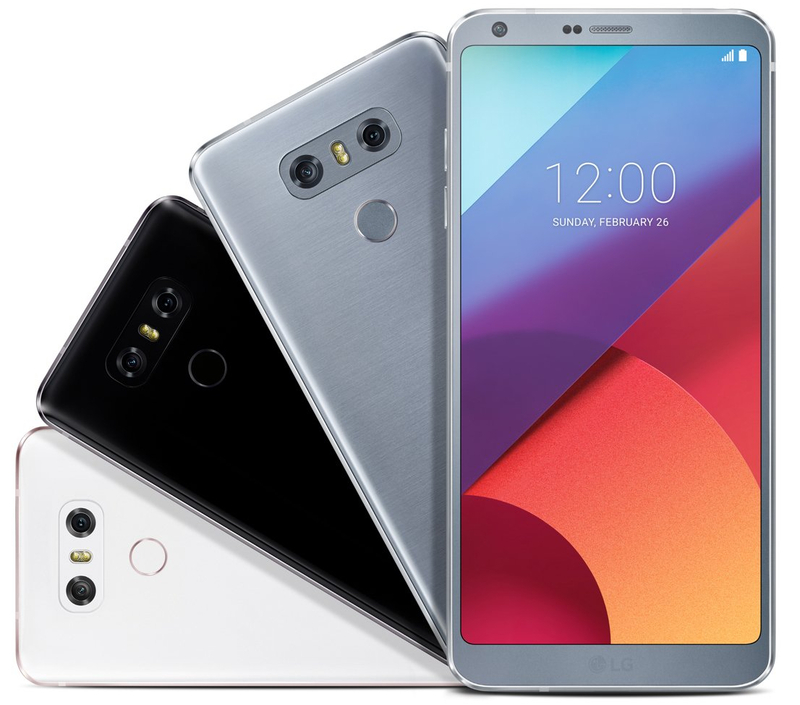 What do you think of the design of the LG G6?